Pressbooks.com founder Hugh McGuire shared his ideas about how ebooks can serve readers better at the International Digital Publishing Forum Digital Book 2015 conference. 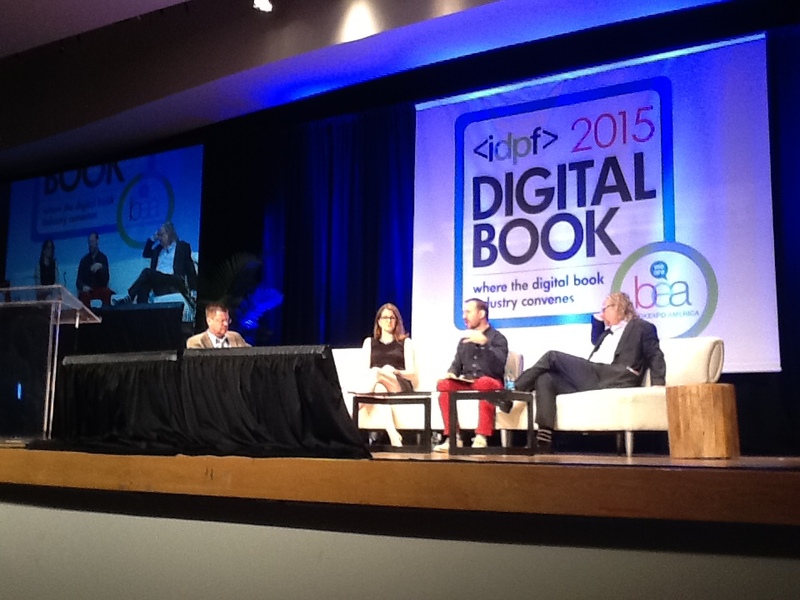 McGuire spoke alongside fellow digital publishing experts Richard Nash and Molly Barton in a panel Wednesday, May 27 at #IDPF #digibook15, a two-day conference co-located with Book Expo America at the Javits Center in New York. Panelists gave their insights on the topic “What Can Publishers Do Better to Put Readers First?” The focus of the panel was how the book industry can better accommodate the innovation — and the false starts and failure that come with it — to start building new, and more valuable experiences around reading. McGuire is the founder of the Pressbooks platform, an open source content management system and book formatter that outputs designed books in all major publishing formats: PDF (for print and digital distribution), EPUB and MOBI ebook formats, as well as a fully native Web version of each book. Prior to creating Pressbooks, McGuire created Librivox, the world’s largest library of free, public domain audiobooks, all read by volunteers. He is also the co-editor of Book, a Futurist’s Manifesto and helped to start BookCamps in Toronto, Montreal, New York and Melbourne.